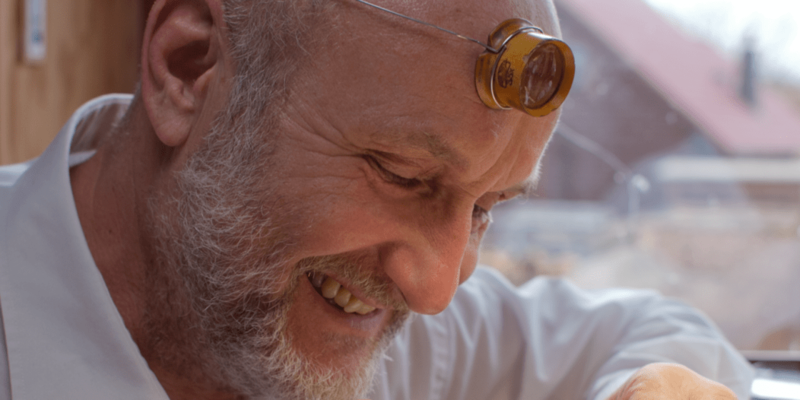 Next in our series of ‘MrWatchMaster Meets’ is master-watchmaker Rolf Lang. 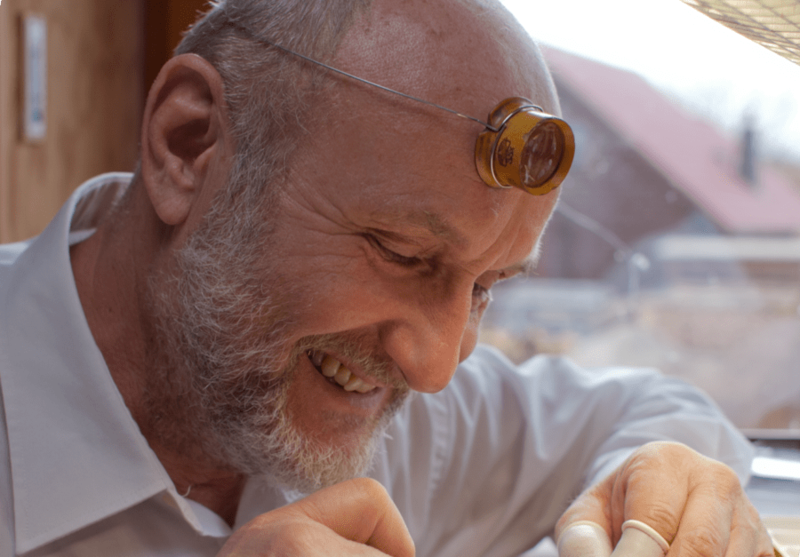 Rolf is an independent watchmaker and instructor, who was once the principal restorer of The Dresden Mathematical and Physics Society and the chief designer of the watch brand Tutima/SA in Glashütte. 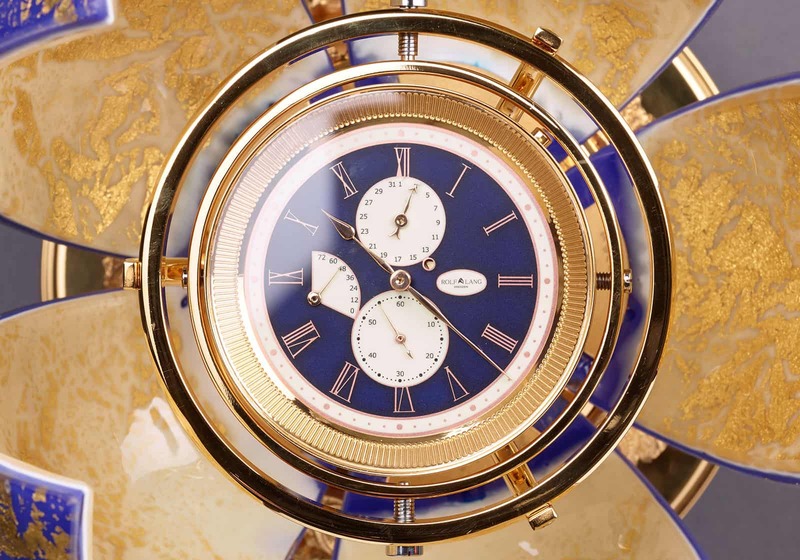 He has been creating his own brand of unique watches, Rolf Lang Dresden since 2012. 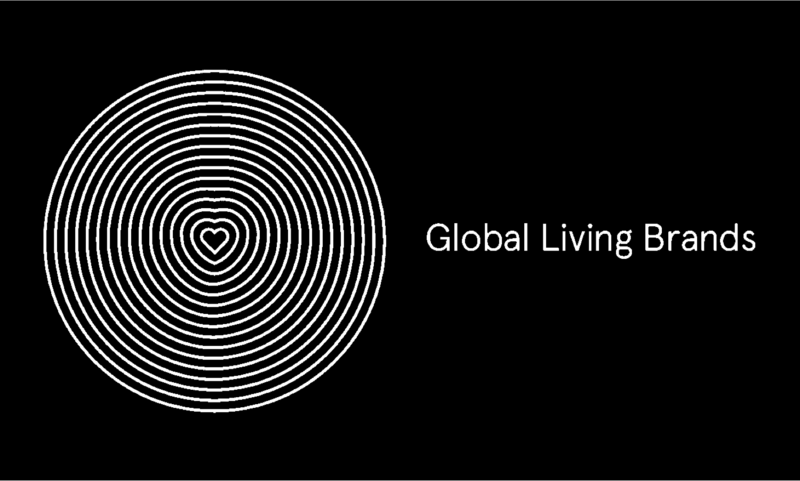 We bring you a fascinating insight into the man behind the eponymous brand. RL: Business is good thank you. I produce less and less, but always a higher quality watches for our discerning customers. Increasingly, this aligns me towards the East to areas such as the Emirates and China. RL: I am currently working on a very exclusive ladies watch with a gold flower case with diamonds. Also on special watches for 16 ‘Stations’ on the Silk Road with enamel badges. MWM: Tell us something we don’t know about Rolf Lang watches? RL: I am working on a table chronometer with a real chronometer movement with intermediate lift and calendar indications and ball moon. A watch with enamel plaques for the Arab market. There is also a ‘Silk Road Clock in Emergence’. That is still secret. RL: I am wearing one of my elegant wristwatches with onyx dial. RL: If I’m honest, I don’t really crave any other watch brands, because I make only high quality craftsmanship products, not industrial watches. RL: Well I worked for the best luxury brands like A. Lange and Söhne, Moser & Cie and 11 years in the State Mathematical-Physical Salon Dresden, so I am one of the last craft watchmakers and would like to pass on my know-how to young people. Watchmaking tends to die out rather than persevere. For me, there is nothing more aesthetically pleasing than handmade watches. RL: I don’t like much(! ), but I do not want to comment on that. I like to in my own direction, away from the watch ‘mainstream’. RL: I would like to build a luxury watchmaking school in the East. 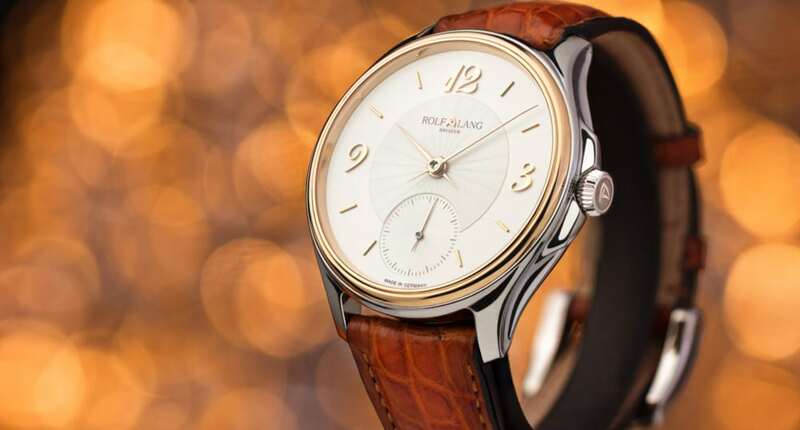 Rolf Lang was born into a family of independent watchmaker and bank economist Heinz Lang in 1948, in the German Democratic Republic. Together with his three brothers and sisters, Rolf Lang grew up in the small town of Gera in Thuringia observing three generations of watchmaking tradition from early childhood. It may now seem that his destiny as a watchmaker was arranged in advance; however, things did not work that easily those days. 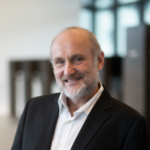 In accordance with the decision of the VIII Congress of the United Social Party of Germany, Rolf Lang, being a son of the hereditary watchmaker, wasn’t allowed to continue his family tradition. 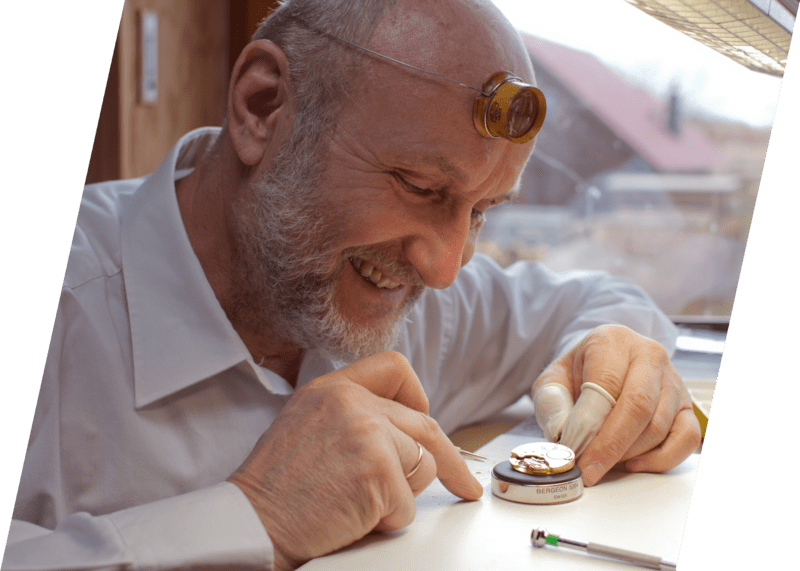 After receiving admittance as a watch restorer Rolf spent much time restoring historical watches with the second balance wheel as well as marine chronometers and other precious timepieces. At the same time Lang worked as a part-time watch restorer for the Dresden Mathematical and Physics Society. There he had a chance to observe one of the largest collections of watches and precise mechanic instruments and, due to his job, Rolf could study the mechanics of the watches as well as some relevant technology of handmade watches.